I consider myself more of an expert on “global marketing strategy,” with influencer marketing being my latest topic of interest which I explore in depth in Digital Influence. My background spans research and content creation through to global marketing strategy and international business development. I spent the first half of my career in Asia – learning Mandarin, working with multinational and local brands, which led to the publication of my first book called China Goes West. China Goes West teaches business leaders about the rise of Chinese global brands (think: Alibaba, Lenovo, Huawei and Tencent) and how Western brands need to adjust their strategies to compete more effectively. Ever since relocating back to the US with Frontier Strategy Group, I’ve dedicated my career primarily to international marketing. I decided to write Digital Influence, because I truly believe in the power of influencer marketing – especially as a way to bridge the “trust gap” between brands and their target audiences (consumers/customers/partners) domestically and in international countries. So much of what I often encounter online in regard to this topic is surface-level clickbait material with headlines that read “How Many Thousands of Dollars Brand X Paid Influencer Y for a Post” or “The Top 10 Steps to Getting Instagrammers to Promote Your Brand.” These types of headlines may lead to social media engagement for their authors, but they, unfortunately, paint an incomplete, and often inaccurate, picture of what influencer marketing is. I hope Digital Influence will help brands understand the broader picture about why collaborating with influencers is so necessary in today’s business landscape and will cause marketing leaders to invest more strategically in influencer relations as a global practice. WHAT AREAS OF INFLUENCER MARKETING ARE YOU MOST PASSIONATE ABOUT? Influencer Marketing as Strategic vs. Tactical: Based on my research I’ve found too many brands are stuck in a “tactic trap.” They focus on one-off, transaction collaborations without a clear set of established goals, consensus on why a specific influencer is the right fit, and how the collaboration will accomplish their original goals. Brands need to escape the “tactic trap” and start approaching influencer marketing as an enduring, critical component of their global marketing strategy. Influencer Marketing as a Global Phenomenon: Too much emphasis on influencer marketing focuses on mainstream influencers in North America and Western Europe. The fact is the rise of influencer marketing is a truly global phenomenon, it’s just developing differently around the world. There are ‘local influencers’ with audiences based primarily in a single market, and ‘global influencers’ whose audiences are based in multiple geographies. Both local and global influencers can be central to brands’ international expansion approach. Local Influencers as a Gateway to Foreign Markets: When brands enter a market for the first time, or seek to introduce a new product or service, they need to build trust with their target audiences (customers/consumers/partners). Think about it this way, the right local influencer has already spent years earning the trust of a brand’s target audience. The influencer’s audience turns to them for industry insights, new product information, and recommendations – wouldn’t it make more sense for a brand to build off of an influencer’s existing trusted reputation, rather than establish their own trust from scratch? WHICH INFLUENCER MARKETING INFLUENCERS INFLUENCE YOU? Brittany Hennessy: Brittany is the director of influencer strategy at Hearst Digital – she shares insider insights from her first-hand experience collaborating with influencers all around the world. Lee Odden: Lee regularly appears on “top influencer marketing” lists, but I can honestly say, through interacting with him over the course or writing Digital Influence, he is the real deal. His insights on content marketing and collaborating with influencers are some of the best out there. Brian Solis: Brian’s research on influencers and his whitepaper Influence 2.0, is spot on, with excellent forward-thinking findings on the subject. Amisha Gandhi: Amisha is the VP of influencer marketing at SAP Ariba and her content helps shed light on the B2B side of influencer marketing (a side that isn’t talked about nearly enough) – the reality is given the long-term sales cycles for B2B solutions, influencer marketing is equally important for B2B and B2C firms. 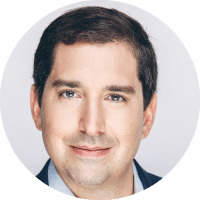 Mark Schaefer: Mark has thought long and hard about the topic of influence – both how can someone become known, and how brands can collaborate with influencers to advance their marketing strategy. OUTSIDE OF INFLUENCER MARKETING WHO ELSE INFLUENCES YOU? Mary Shea: Mary is a Principal Analyst with Forrester Research – her insights on B2B sales and marketing are grounded in a thoughtful analytical approach combined with first-hand experience running B2B commercial organizations. Dez Blanchfield: Dez is an emerging technology influencer who shares a wealth of content on topics related to data science, big data, analytics, machine learning and blockchain. Tamara McCleary: Tamara is the CEO of Thulium and an influencer on emerging technologies, marketing and leadership topics. If you’re not ready to fly to every major global conference, follow Tamara for an inside peak. I consider myself more of an “in real life” influencer than a digital influencer. I enjoy traveling to deliver conference keynotes, conducting executive workshops, and writing books that can help the many people who I may never have a chance to interact with in person. I love spending time to understand the strengths of the various professionals I meet around the world and connecting them to like minded peers within my community, to help everyone become more successful. I’m most interested in working with companies to keynote corporate and industry events, as well as running workshops for marketing leadership teams. With Digital Influence‘s upcoming release on September 3, I am still very much interested in getting more relevant professionals to learn about the book so podcasts, webinar collaborations, and various content partnerships are all welcome. The key is time – which is limited – so I need to be very careful accepting every opportunity that comes my way. I always encourage people to reach out, at the very least I’ll be able to assess the opportunity and provide you with a quick and honest response about whether or not the collaboration makes sense. I make myself very accessible online. Feel free to connect with me on LinkedIn or Twitter. If you fill out the contact form on https://www.joelbackaler.com/take-action/ I will typically reply within 24 hours.